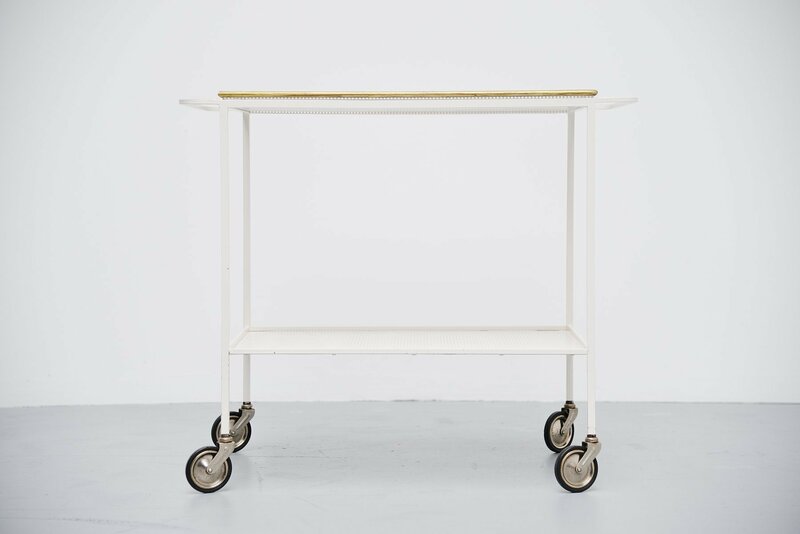 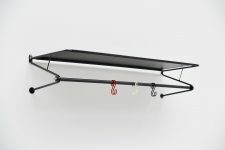 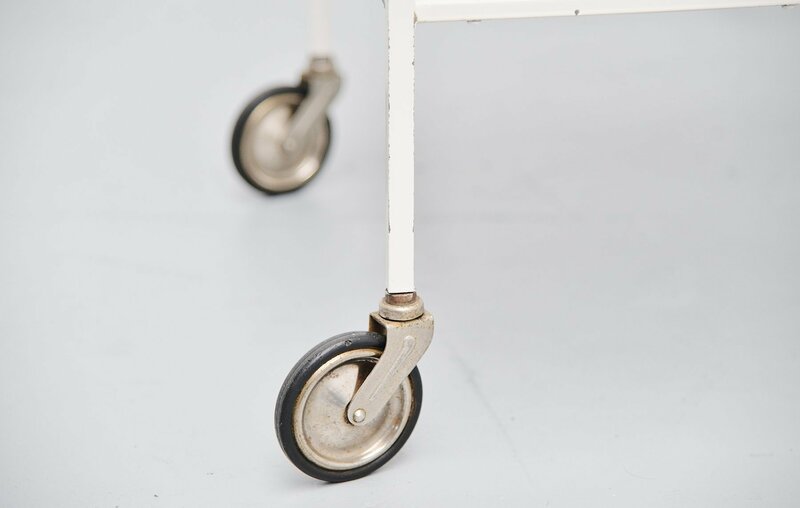 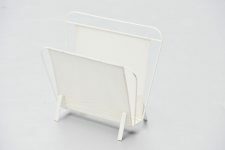 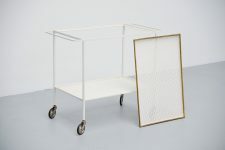 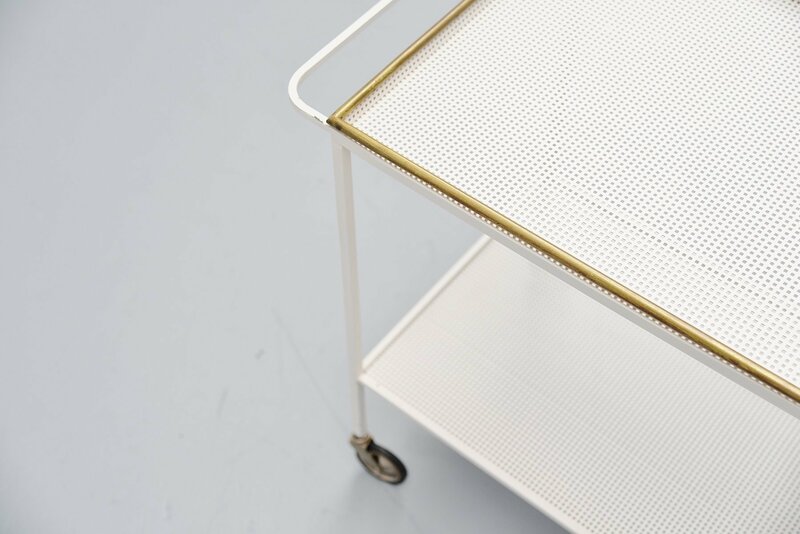 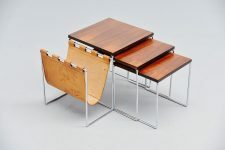 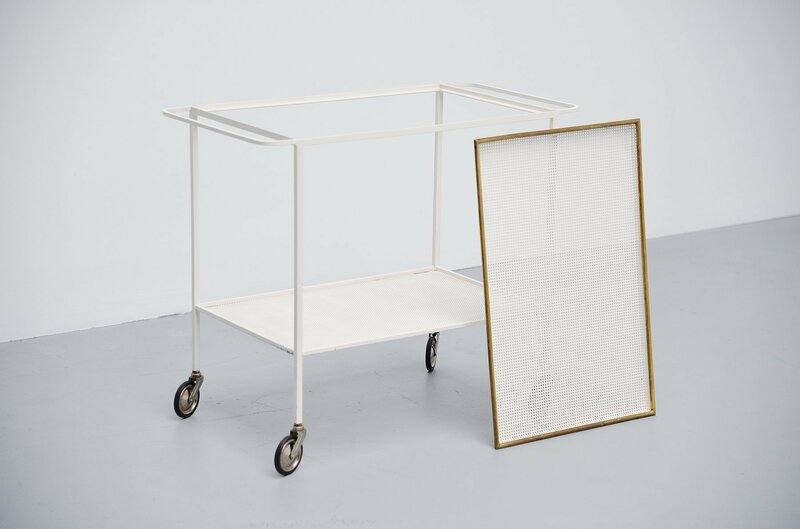 Modernist serving cart designed by Mathieu Mategot produced by Atelier Mategot, France 1960. 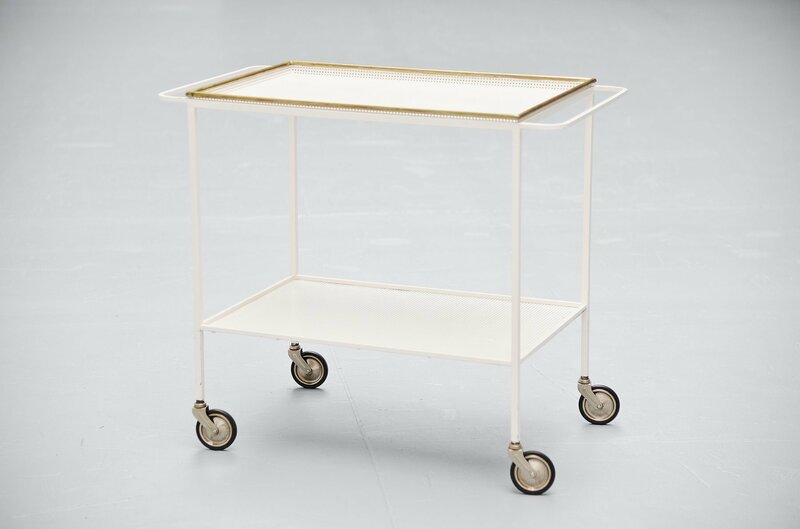 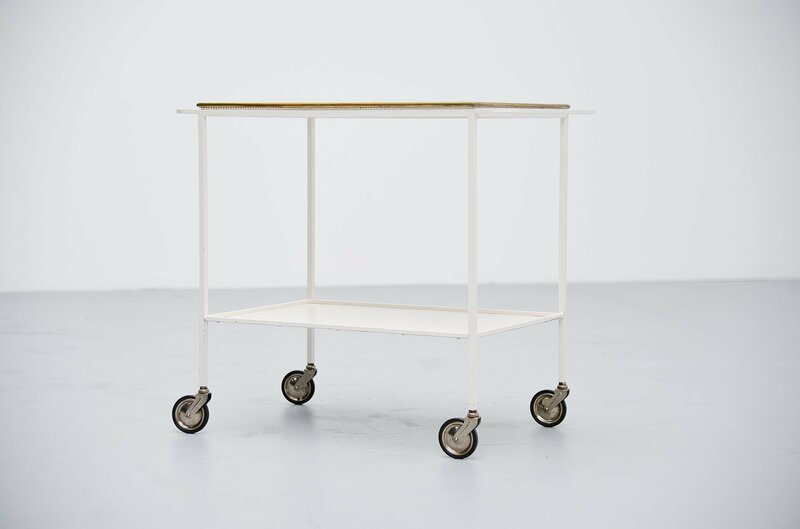 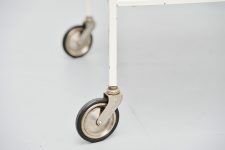 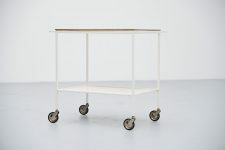 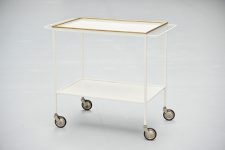 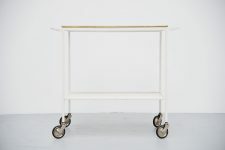 This serving cart is documented in the Mategot books so its a cart with references. 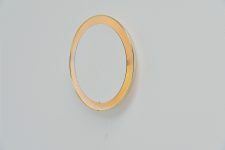 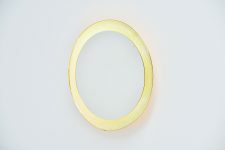 This was made of whit lacquered metal and the serving tray has a brass edge. 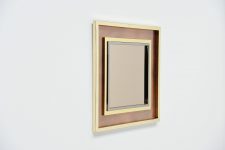 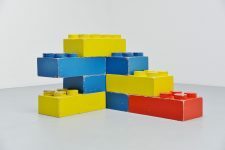 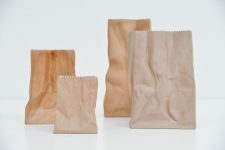 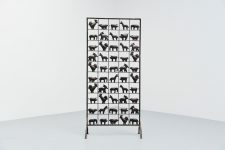 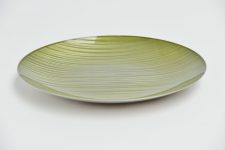 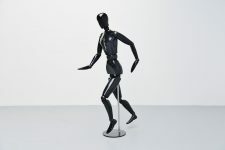 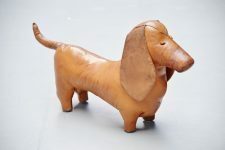 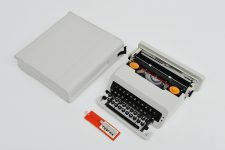 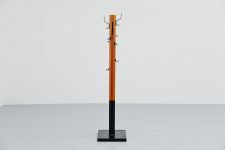 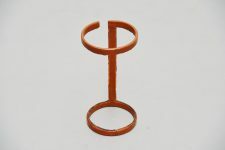 Its in very good condition and would look highly decorative in any home or interior.